To be or not to be - that is the question. This adage suits none but Congress Party the best these days. After the severe drubbing it got in the Telangana elections, the party is in two minds as to whether to go ahead with the alliance with the Telugu Desam or not. A section of the Congress strongly feels that had it not been for the Telugu Desam, the Congress would definitely have put up a much better performance. They feel that the alliance with the TDP and the Maha Kutami have not benefited the Congress in any manner. Meanwhile, there is a re-think even in the AP Congress whether to go ahead with an alliance with the TDP. The leaders feel that they would have to face the wrath of the people because the TDP is already hugely unpopular in AP. 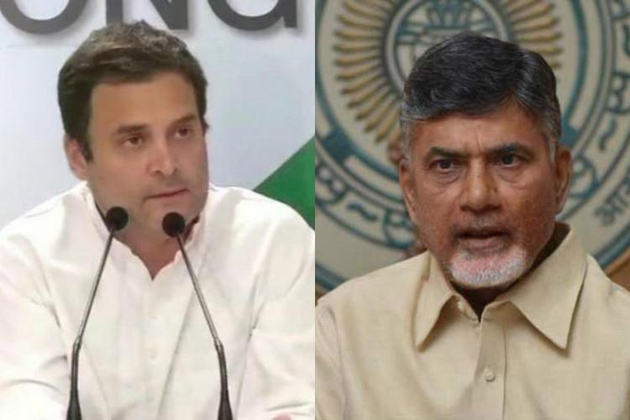 But, the Congress High Command, which somehow or the other wants to come back to power at the Centre, wants an alliance with the TDP as it could add up numbers for the Government. They also feel that the TDP would financially support the Congress campaign too. Efforts are now on in the Congress to convince leaders like Komatireddy Venkata Reddy to agree to continue with the alliance with the TDP.